Winter Hall is coming to life thanks to the investment and support we’re receiving from the Developing Beyond competition, funded by Epic Games and the Wellcome Trust. On July 12th, Lost Forest Games secured a place in the semi-final and with that, the funding to bring Winter Hall to a playable prototype. Find out what the competition means to us and to the other finalists in this excellent article from Develop’s Jem Alexander [the name is McLachlan, but we’ll let that one go]. 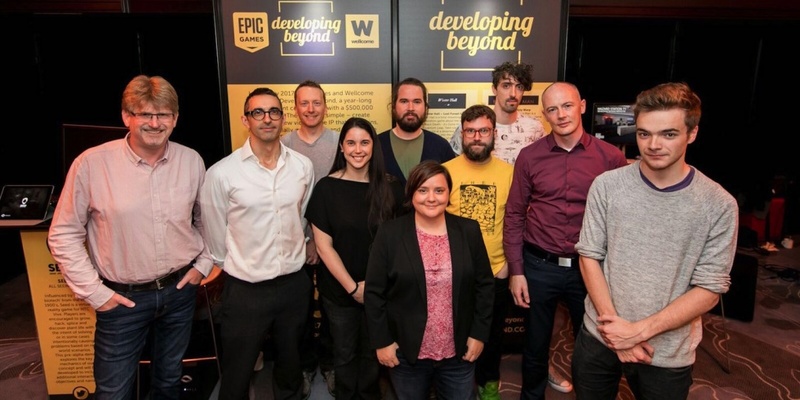 Rob, pictured at Develop:Brighton with the other semi-finalists and judges.